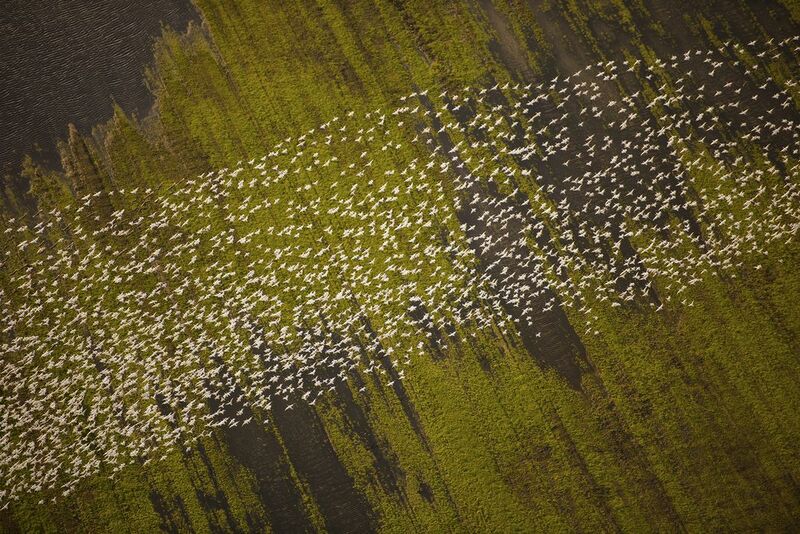 Each year, during the months of Dec-March, the California Delta hosts millions of migratory birds, such as geese, egrets, ducks, herons and others. Aerial image (shot from a plane at sunset). Date Uploaded: April 1, 2017, 12:42 a.m.